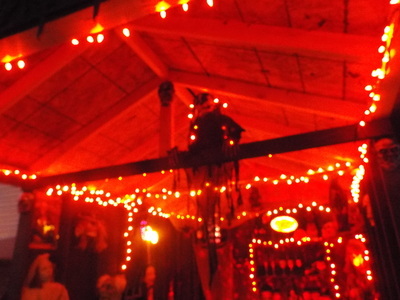 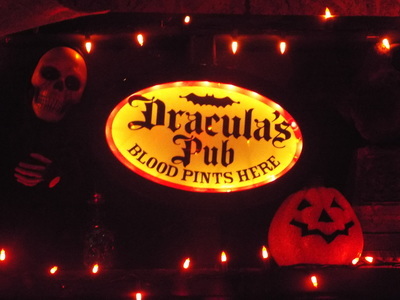 Dracula's Pub is a small yard display located near Midway Airport in Chicago. 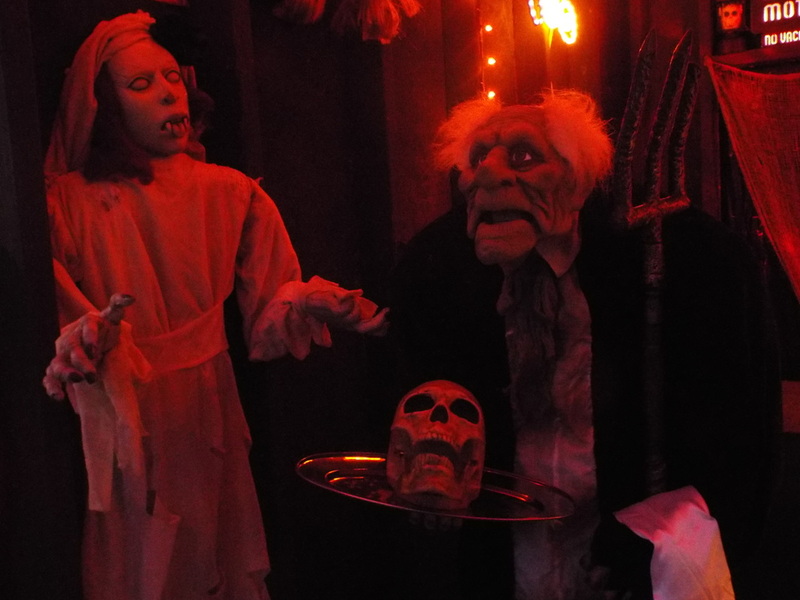 We've seen this display in various incarnations over the years, including 2012's Return to the Island of Lost Souls and last year's Curse of the Mummy. This year, we were particularly interested in seeing the display because it claimed to be "A small bar run the infamous king of the vampires, COUNT DRACULA! 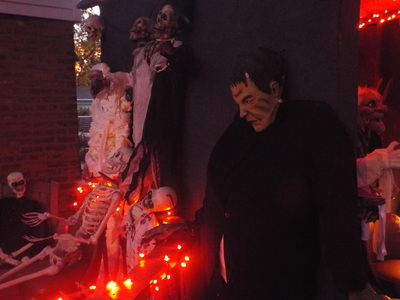 Featuring: THE MUMMY, FRANKENSTEIN'S MONSTER, and many more beloved monsters!" Thus, we were expecting to see some classic Universal horror movie characters in the setup. Alas, it was not the case. 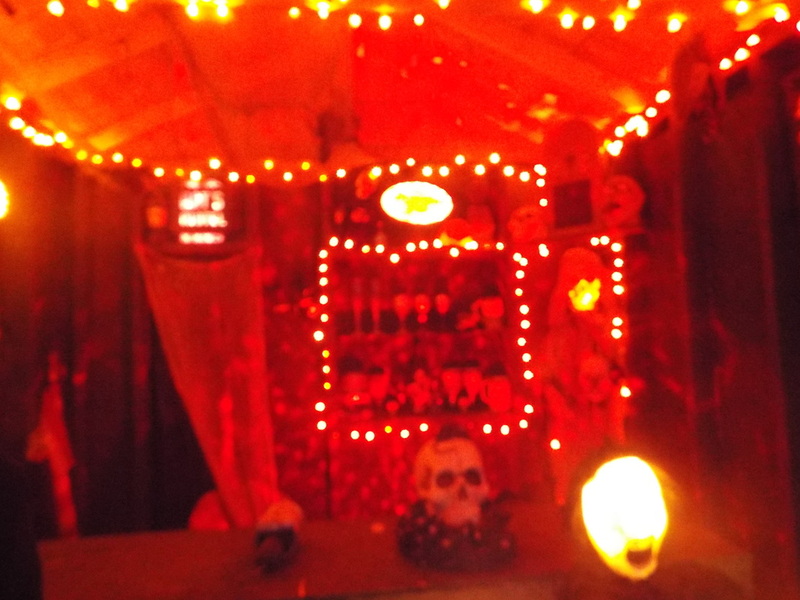 While there was indeed a bar setup, and there were monsters in it, there weren't any that looked like classic Universal monsters. 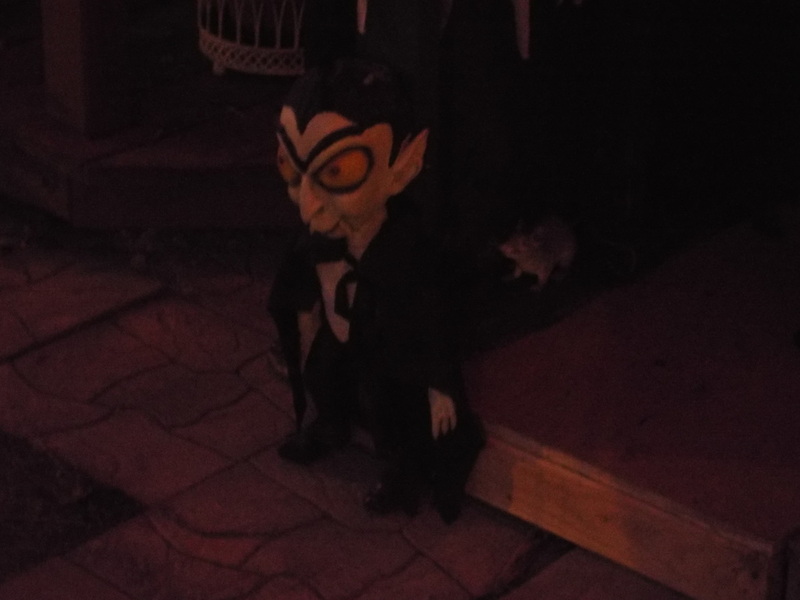 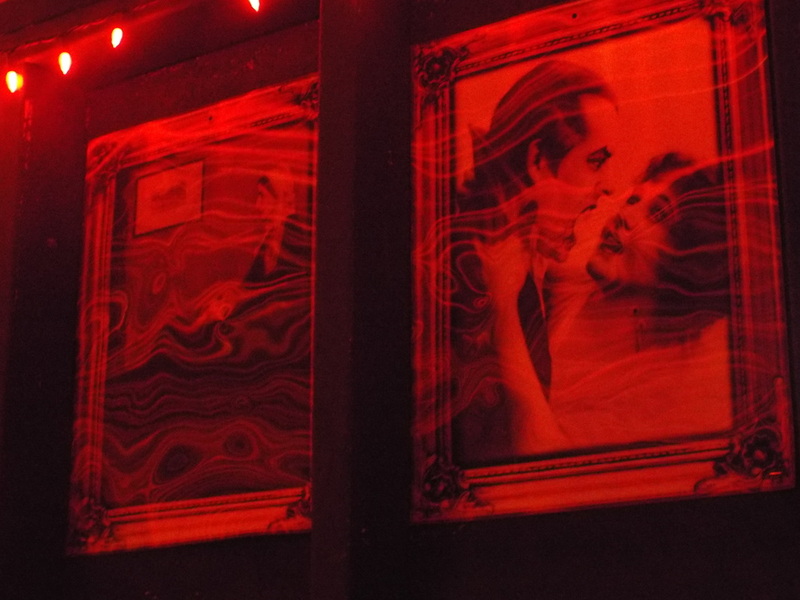 There was a mummy of sorts in a moving chest, and there was what looked like a Frankenstein's monster mask hanging from the side of the main bar area, but aside from a photo on one wall that featured a vampire that looked kind of like Bela Lugosi and a mini vampire like statue on the ground, there was no Dracula to be found. 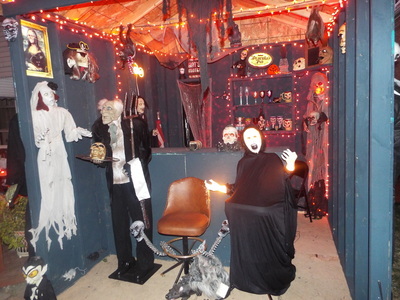 Despite this, however, we do have to give some points to the display for being creative. We've not seen a bar yard display before, although we have occasionally seen scenes where skeletons are sitting around a table drinking (and, indeed, we also saw such a scene here to the left of the main setup). 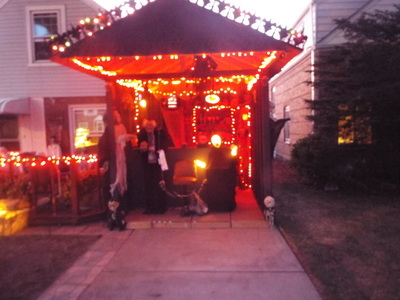 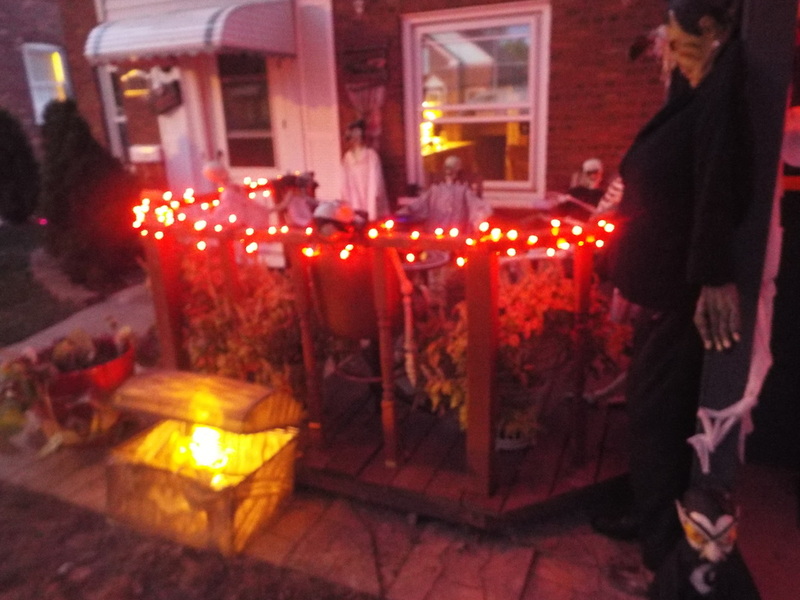 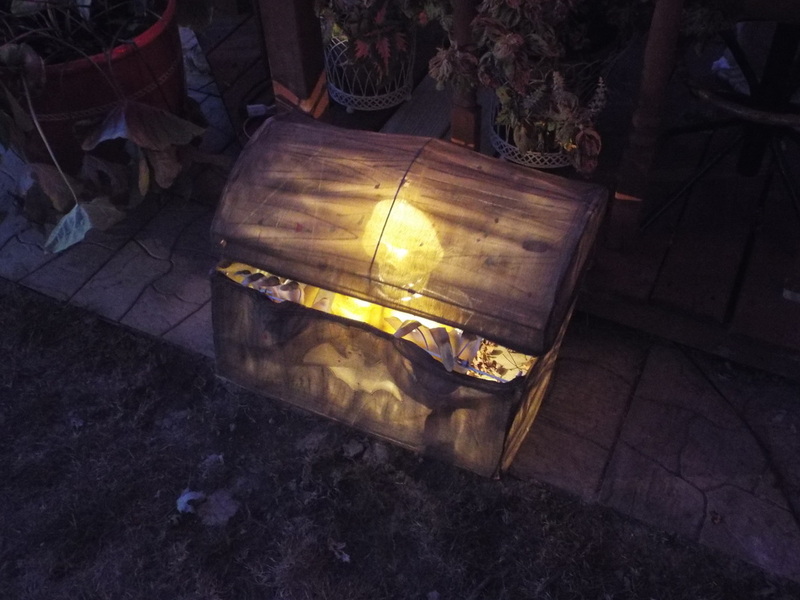 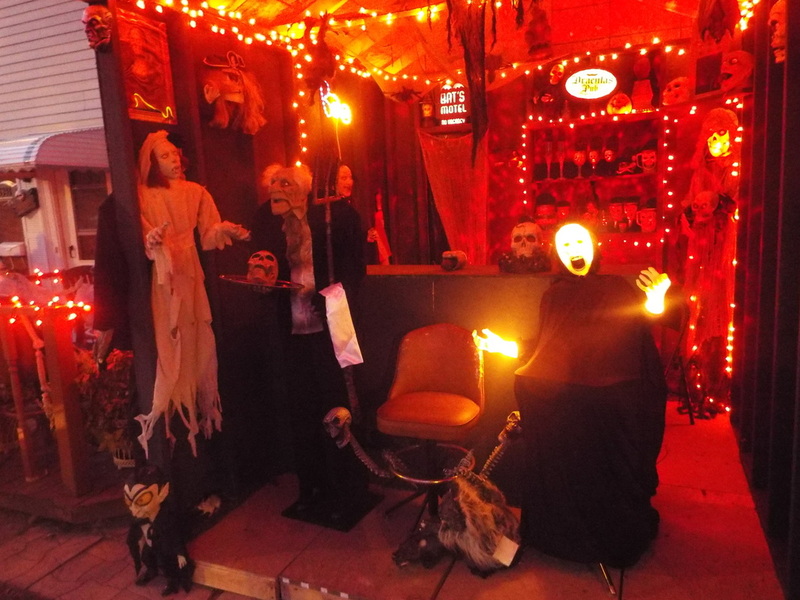 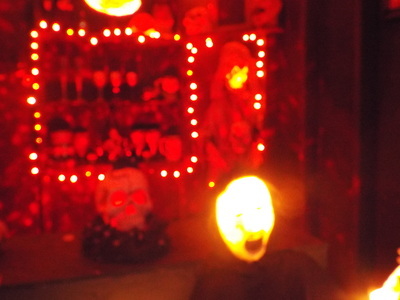 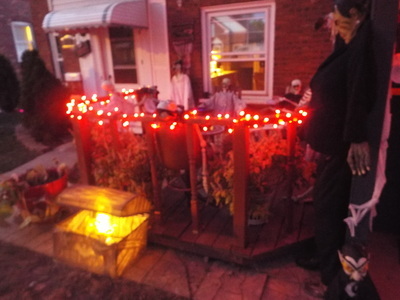 Overall, this yard display does come up with some creative themes each year, so it's worth a look, especially if you are viewing other haunts in the area.